I decided to mix things up and do double review of these two Bookbinders Snake Inks rather than focus on just one because both inks, from the same brand, perform quite differently and the two colours compliment each other nicely. While Eastern Brown is rather wet, Emerald Boa is quite dry; I do need to stress that that Emerald Boa was in one of my wetter pens, a Broad Pelikan M800 (that feels more like a Double Broad) and it was still very dry. Because of this dryness it didn't feel as smooth in the pen; this probably isn't an ink you'd put in a dry-leaning Japanese extra-fine. Eastern Brown, on the other hand, was quite very wet and smooth in the pen (another Broad, this time a Lamy Vista) and it took quite a while to dry. Emerald Boa has no sheen to speak of and Eastern Brown has no practical sheen. To clarify, there was some sheen on Tomoe River with Eastern Brown on a wet swatch of the ink but even the quite-wet line that the Lamy Broad put down was not enough to elicit sheen on Tomoe River. The shading on Emerald Boa is quite good, probably due to the dryer nature of the ink. On Tomoe River with a dip nib and in swatch form, Emerald Boa has some nice halo to it but this halo was only barely visible with the wet Pelikan M800 line. This ink definitely performs a bit nicer on Tomoe River as it presents with a richer colour on this paper. Eastern Brown does have some shading but it's much less pronounced. 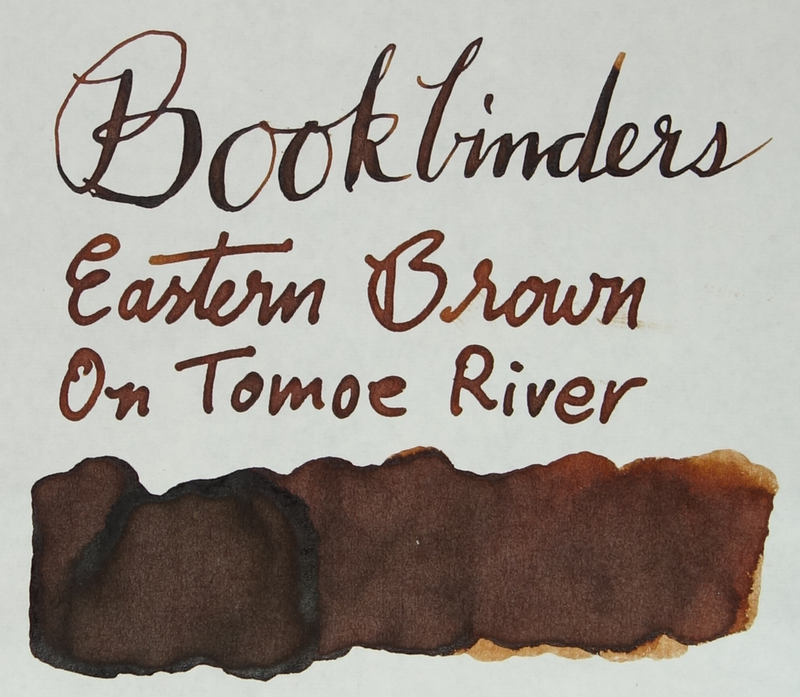 Like some inks, such as Caran d'Ache Saffron and Robert Oster Peach, Eastern Brown seems to lose some of it's saturation on Tomoe River. Both inks perform fairly well on cheap 80gsm copy paper with feathering only in the flex dip nib, presumably because this sharper nib cut the paper slightly. Both inks only barely bleed through as well. 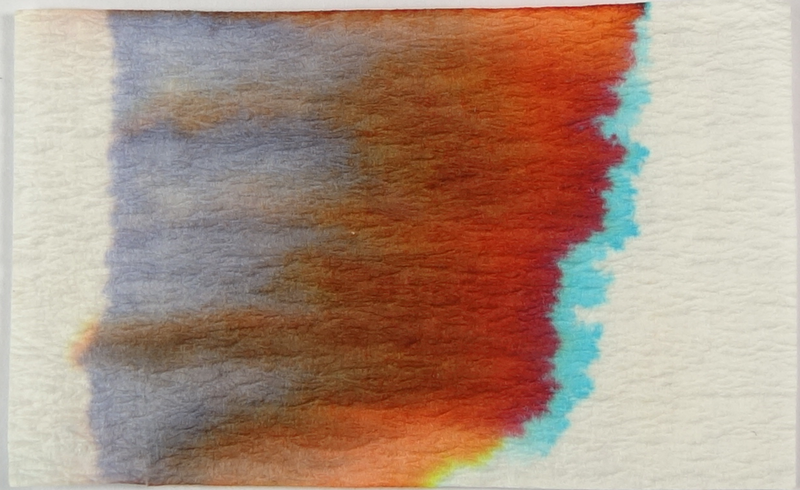 The Chromatography of both inks are pretty interesting, especially of Eastern Brown. Emerald Boa starts with a very pale blue-grey and moves on to a gradient that start yellow and moves to a light green. At the end, a vibrant light sky-blue breaks out. Eastern Brown starts with a purple-grey and then moves into a gradient of brown to coppery-red and it too breaks out into a light sky-blue (that is slightly greener than the sky-blue of Emerald Boa's chromatography) at the end. At the bottom right of the chromatography of Eastern Brown, some yellow separates from the coppery-red, slightly. It is only in the corner where the blue fails to 'break out' so this yellow may be the reason the blue is slightly greener than the sky-blue of Emerald Boa. Neither ink performs particularly well with water but a small spill might still be readable with Eastern Brown but with Emerald Boa, water pretty much washes the whole ink away. Dry times were very quick with Emerald Boa at 20 seconds on Rhodia paper, but Eastern Brown took a whopping 1 minute to dry. This is longer than many Sailor inks (though not some Noodler's inks). The closest Brown I have to Eastern Brown would be J. Herbin's Café des Îlles but it's lacking just a little of the yellow from Eastern Brown. The next closest, Chesterfield Antique Copper, has just a little too much red as does Franklin-Christoph Terra Firma and Graf von Faber-Castell's Hazelnut Brown. Diamine Dark Brown is fairly similar but has a little too much yellow and Noodler's Brown #41 is missing a lot of the red from Eastern Brown as well as being less saturated. Diamine Meadow and Robert Oster Lime Green are both very similar to Emerald Boa with the latter being a little yellower and the former a little bluer (or greener). Both also feature more haloing than Emerald Boa. J. Herbin's Vert Pré has a bit more yellow in it, and Robert Oster Light Green has too little yellow in it while Iroshizuku Chiku-Rin and, to a greater extent, Rohrer & Klingner Alt Goldgrün have too much brown in them. I do have a personal preference to wetter inks so the dry nature of Emerald Boa is a little off putting for me. I much prefer the wetter and smoother feel of Eastern Brown and the longer dry times don't bother me that much. I don't want to discourage the use of Emerald Boa, however, as the ink is quite useable, it's just not my preference for an ink to be as dry as it is. The shading it has does redeem it in my eye though. Eastern Brown feels nice to write with and it's quite a decent brown colour with some shading. I do recommend it if you're after a nice rich warm brown and don't mind longer dry times. If you are using cheaper paper, either ink works pretty well also. 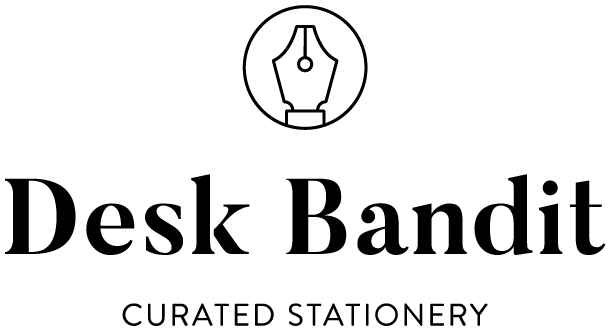 The ink can be bought direct from Bookbinders Online in Australia, Anderson Pens in the USA, and Appelboom in Netherlands.